Master WPF is an iPhone app jam packed with 500 short, practical questions to help any developer take their WPF skills to the next level. The next time you are waiting for a coffee, taking the train to work, or idling until the build server is back online, leverage that free time and master WPF. Here’s the home screen. Tap on Random Questions to jump right in. If you have any questions or feedback about the Master WPF app, please leave a comment on this page and I’ll get back to you soon. I downloaded your WPF app yesterday and did the in-app purchase to see the premium content of 500 questions. Everything worked perfectly well. 5*. Unfortunately, today I deleted the app from my phone while re-arranging my icons. I went back to the app store was able to retrieve it from there. However, it’s prompting me to do another in-app purchase again to see the premium content. I immediately stopped so I can get some clarification from you. Does your app have any way of knowing that I already bought this content last night? Is your app going to get the app store to hit my credit card again a second time in 24 hours for this content? Is there any way for me to get my content without having to pay a second time? I don’t mind paying a second time because I actually need the content but if users have to pay each time they re-load the same device using the same app store ID, that may become an issue for many folks out there. Thanks for the purchase! You can get the content again, free of charge. I have tested this scenario and verified it works properly. Simply tap the Buy button in the app, type in your password, and Apple’s system will detect that you already bought the content, and you will get it again. super! I’ll have a go then. Cool! Notifies me that I won’t get docked again. Nice one, Josh! Not a problem, Olusola. I’m glad you’re enjoying my Master WPF app! Have a great day. Wonderful app. When can we get more questions? Thanks! I don’t have any plans at this time to produce more questions. Can’t we see this in Windows versions? I extend gratitude towards demoapp – a simplest explanation of mvvm pattern for WPF along with Karl’s guidance. That was the start of WPF journey with enriched knowledge. Now in the the world for Metro App, could you please explain the transition and right pattern for WPF + Metro Style. Do you have an Android version of this app? Sorry Efoe, I don’t have an Android version of Master WPF. It’s one of the many items on my Pet Project todo list. What version of Android do you use? Is it possible for you to make this app support iOS 4? Because my phone can’t be upgraded to iOS 5. Thanks for the question. Sorry, but that is not possible. The app relies on quite a few features introduced in iOS 5. Hello Josh, i have been following your blogs for long time and consider you as guru of WPF. I am also transitioning to iOS development and my seven years of programming experience involves working with C#, web and windows. 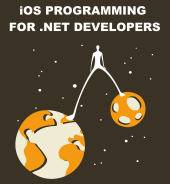 Do you have plans to write an app for people who are moving from .net to iOS (i know you are writing a book for .net developers) I feel that an iPad app will be a good idea and will have a good reach. I have definitely thought about it. It’s just a matter of finding the time and determining priorities. Are you planning to upgrade your app to support iOS 11? Hi Josh, I just wanted to try your app, but as some other readers said it’s not available for iOS 11, How about your plans to update the app? I really would appreciate that.